At All Saints Parish, This sacrament is celebrated every weekend by the community as well as every weekday except Monday. 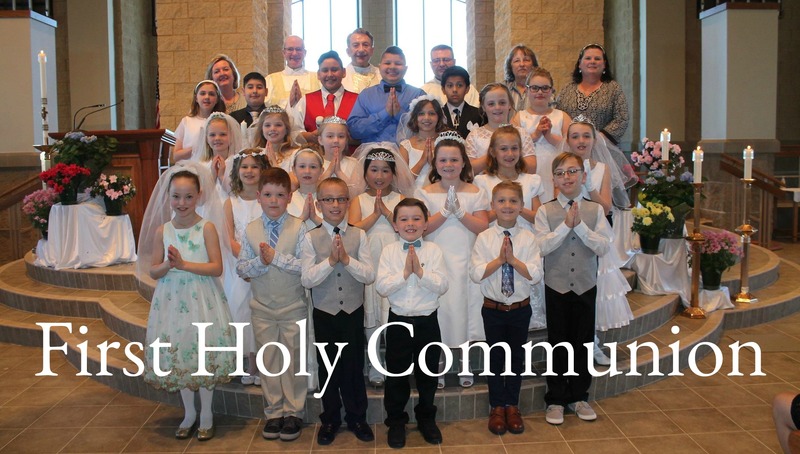 Preparation for the Sacrament of the Holy Eucharist is typically received in the second grade after two years of preparation through the Religious Education Program or through our Catholic grade school. Home School families are free to follow formation materials approved by the Diocese and then incorporate their children in our parish sacramental celebration. The parents are expected to attend the parent meetings, which are scheduled to clarify the role of the parent, the parish procedures and to distribute materials. 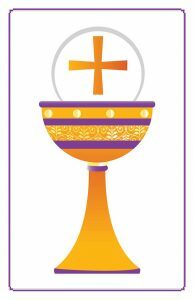 The celebration of the Sacrament occurs at the 10:00AM Mass on a Sunday during the Easter Season. Your child should be enrolled in All Saints Religious Education Program or All Saints Catholic School to receive all necessary information and preparation. Adaptive procedures for older children are available. Contact the Religious Education Office at 361-5252 for more information.